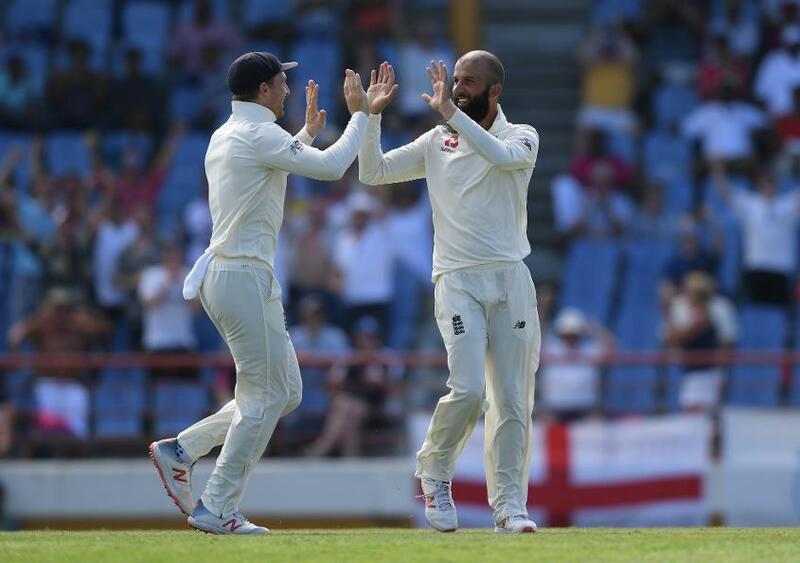 Wood collected Test-best figures of 5/41 to help England bowl out the Windies for 154, impressing with a spell of immensely hostile pace after England had been bowled out for 275. The morning belonged to the Windies bowlers after day one had seen Jos Buttler and Ben Stokes take England to a healthy position of 231/4. It seemed as if England were to comfortably pass 300 for the first time in the series. Nevertheless, much like what had gone before in the series, Windies’ pacers were ready to destroy any semblance of English hope. Shannon Gabriel had Buttler (67) bowled through the gate, but it was Kemar Roach who starred once again, finding plenty of movement to collect four wickets. His dismissal of Jonny Bairstow (2) was magnificent – the ball crashing into the stumps with some hooping in-swing. England crumble to 277 all out! It was a case of déjà vu for England as they lost six wickets for just 46 runs. John Campbell and Kraigg Brathwaite were watchful for three overs to take the Windies into lunch in a joyous mood. The openers continued to survive against the new ball after the break, and at 57/0 from 18 overs, it seemed that the platform had been set for the Windies to take control of the day. Moeen Ali intervened with two wickets in consecutive deliveries. The first to depart was Brathwaite (12), whose advance down the track resulted in a wild slog to James Anderson at wide long-on. Campbell (41) was out lbw the very next delivery to give England's bowlers the opportunity of bowling to two new batsmen. The stage was set for Wood, returning to Test cricket for the first time since May 2018. Tossed the ball by his captain after waiting patiently for 21 overs, he made sure to make up for lost time. Clocking regularly above 140km/h, Wood was lethal. His first over ended with the wickets of Shai Hope (1) and Roston Chase (0). Hope’s efforts at a flashing drive saw him find Rory Burns at gully, before Chase edged to the very same fielder to leave Wood on a hat-trick. While Shimron Hetmyer (8) survived Wood’s first ball of the next over, the Durham paceman finished the session with the left-hander’s wicket, another steaming delivery taking the outside edge, with Joe Root collecting at first slip. Wood’s fun continued after tea, Darren Bravo (6) the victim as another outside-edge felt the brunt of the bowler’s venomous pace – Root taking another grab in the slip cordon. Keemo Paul (9) followed but Shane Dowrich provided some stern resistance with a dogged 38, before he was out lbw to Stuart Broad. Moeen Ali's off-spin was probing throughout the second and third sessions, and he collected four wickets - his last victim being Alzarri Joseph (2), a slog high up in the air seeing Broad take a staggering one-handed catch at mid-off while off balance. Wood then finished proceedings by going through Gabriel's (4) defence to seal an excellent return to the Test arena. Burns and the under-pressure Keaton Jennings were sent out to face the music at the end of the day and managed to survive the ten overs of play, taking England to 19/0. The two will resume tomorrow with England possessing a 142-run lead.